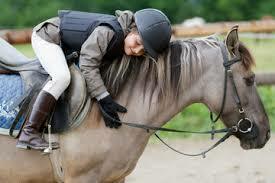 The equestrian family is important to the Scottsdale experience. 40 acre undeveloped parcel. Today you learn in the COGS E-Newsletter that an application has been submitted to the city to request a zoning change from the current one home per 5 acres-- to build (not 8 homes) but 36 homes. Because this part of the desert has boulders and washes, the developer's plan is to cluster or group the homes close together and "save the boulders and washes". As in this example, rural and equestrian areas are rapidly being lost in our city. City Council will focus on this issue Tuesday at 4 pm in a Work Study Session (no vote). The proposed General Plan 2035 and its Land Matrix plus the definitions of Desert Rural and Rural Neighborhoods are extremely important guidelines for long-range planning. Some representatives of the GP Task Force and COGS met in June and reached a consensus on changes to the Land Matrix to provide more scrutiny and to make large parcel reduction a Major Amendment that requires greater than a simple majority of city council for project approval. Major Amendments are heard once a year per state law and in the year the project is submitted. Additional public hearings are held to provide more opportunities for area residents' to give input on the site plan and project. Would this stop all rural development?--no. An appropriate project that preserves the rural character and adds value to the neighborhood should have no problem achieving approval. Projects that potentially destroy the desert contours and vegetation would be required to re-design their project or expect denial.